“The bulls are coming… the bulls are coming,” cried crypto speculators as the market saw an unexpected resurgence on Thursday, with a majority of the foremost crypto assets posting gains that reminded many of 2017’s monumental bull run. Bitcoin, for one, saw a strong move above the $6,500 line of resistance, which triggered a five percent decline in the amount of BTC in Bitfinex’s short selling contracts. While Bitcoin had its time in the spotlight today, altcoins quickly drew the attention of a majority of cryptocurrency traders, as XLM, ADA, XRP and TRX all posted double-digit gains that quenched the thirst of many so-called “altcoin maximalists.” Keeping the astronomical movements of altcoins in mind, Bitcoin dominance fell by over two percent today to a two-week low, from 55.4 percent to 53.1 percent in a matter of a short 24 hours. As with any notable market movement, many tried to put a finger on the exact catalyst that sparked this relatively strong rebound, but as with any nascent market, there often isn’t a single factor that triggers a shift in prices. Although the price action seen throughout the past eight months has been dismal, what eludes the minds of many is that a series of positive developments in this nascent industry are just around the corner, so to speak. 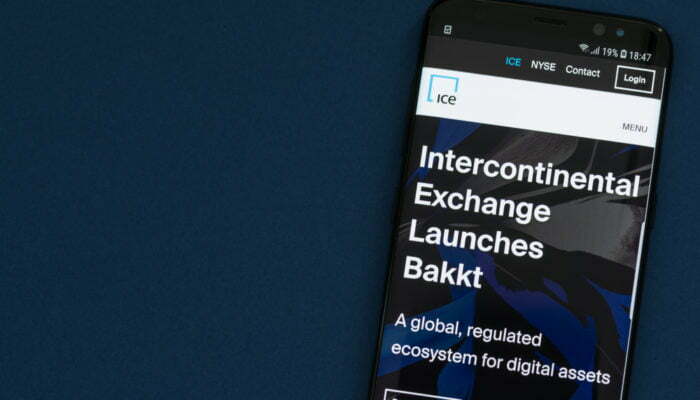 Bakkt, for example, is set to launch its first product in November, which will provide individuals from a consumer, merchant or corporate background to gain access to the crypto market via a reliable, CFTC-regulated, physically-backed futures vehicle. Mike Strutton, an analyst from the Ironwood Research Group, recently noted that Bakkt “is much more important than [any Bitcoin] ETF,” as the arrival of such a product might have been an event that institutions have been waiting for. Not only is Bakkt inbound, but komgo SA, a recently-established blockchain platform backed by 15 of the world’s largest multinational corporations and blockchain innovator ConsenSys, is set to open its doors by the end of the year. The Citigroup-backed komgo SA intends to revolutionize the global trade ecosystem by digitizing trade-related data and subsequently managing that information via a set of Ethereum-based protocols. In the context of both short-term and long-term time frames, many industry leaders, commentators, devoted investors and analysts still seem as bullish as ever. In terms of the performance of this budding market in the short term, Galaxy Digital CEO Mike Novogratz has called for a bottom in this tumultuous market, drawing connections between historic cryptocurrency data and the current state of the market. Per a tweet that gained traction throughout this industry, the hedge fund manager turned cryptocurrency advocate referenced his multi-decade career in legacy markets, claiming that crypto assets could be on the verge of another exponential bout of growth. Not only does crypto’s near future looking promising, but as reported by NewsBTC, Tim Draper, a well-established angel investor and long-time cryptocurrency proponent, has maintained his extremely bullish price prediction, claiming that Bitcoin will reach $250,000 a piece by the time 2022 rolls around. Most recently, Changpeng Zhao, the CEO and founder of Binance, has joined the long line of cryptocurrency permabulls relaying their progressive sentiment via social media platforms. Issuing a follow-up comment on his appearance at Consensus Singapore 2018, Zhao, who is seen as this industry’s “golden child” by many, “dared” the crypto market to grow by over 1,000x over the next few years. Although the sentiment held by industry leaders often has no direct effect on the market, the aforementioned statements, while bullish, overtly show that many are still in this game for the long-haul, which is evidently what true believers of this industry want to see on their social media timelines.